Methadone programs across the country differ in their quality of service. Some are simply better than others. Why is this? Each program is shaped by the experience, professionalism, and treatment approach of the staff who are employed there. Quality programs emphasize comprehensive recovery and client skill-building in addition to medication assistance (like methadone or suboxone dosing). Importantly, each client should be provided regular counseling & active support that is characterized by consistent respect shown for clients at all times. Opioid addiction recovery involves more than just receiving methadone. It requires lifestyle change, improvements in thinking and behavior, and a willingness to learn and adapt to the challenges of life. Opioid replacement medication, by itself, cannot provide all of this. Consequently, quality methadone clinics will encourage their clients to use treatment as a means of enriching their lives and moving to higher plateaus. Methadone programs that do not provide this opportunity are called “dosing mills”. Dosing mills usually exist to dispense methadone and collect a fee. Treatment services and attention to client growth are not a priority. There is definite value in helping an addicted person to stop using illicit drugs and in stabilizing them on a safer opioid substitute, like methadone or suboxone. But this “medication only” approach is not recovery, and does not address the root problem of addiction or its underlying causes. The goal of quality methadone treatment programs is to empower their clients to live the fullest lives possible. Every staff member in the clinic understands & endorses the value of opioid replacement therapy. Staff demonstrate care for clients and treat them with respect. Clients are welcomed, and their decision to enter opioid treatment is viewed as a commitment to a better life. There are counseling groups and/or the availability of individual counseling sessions, and clients are required to attend these. The clinic starts new clients on modest doses of methadone, increases their dosage gradually, and monitors the client closely as he/she acclimates to methadone. This is an important safety protocol that no decent clinic should sidestep. Rapidly hiking clients up to high levels of methadone is medically irresponsible and poses an unnecessary safety risk. Clients have access to an appeals process. 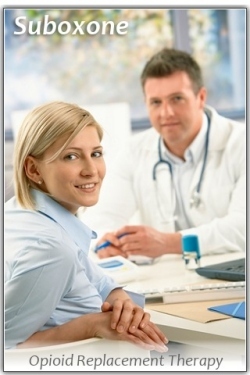 The clinic strives to be organized and efficient for the convenience of its clients. This is often a challenge, but a clear effort is made to minimize a client’s wait time before dosing. Clients are subject to random urinalysis and other accountability measures. This promotes client responsibility, raises program integrity, increases client safety, and shows the community that the methadone program is all about quality and ensuring that the program is conscious of the community’s needs and concerns. Illicit drug use (relapse) is not overlooked, but is addressed promptly with each client in a constructive manner. Various treatment alternatives & interventions are offered to help relapsing clients get back on track. The program engages in comprehensive assessment, and either provides in-house services for co-occurring disorders (ex. depression), or coordinates a referral for help in this area. The program practices diversion control in order to minimize the risk of methadone being misdirected. Additionally, take home medication awards are made based on client progress with treatment and demonstrated stability, not just the passage of time. As a client, it is important to remember that you have rights. Your clinic staff should review these with you and should provide you a manual or handbook which outlines the program’s guidelines, dosing hours, fees, and other expectations. If you do not have this handbook, then please request it. In closing, various methadone programs do differ in their approaches, policies, and procedures … just like any other medical service provider. There are many high-quality programs around the country staffed by capable & dedicated professionals. As is the case with most any industry, some companies/organizations rise to the top and are better than others. The “bad” ones should not reflect negatively on the good ones. Both will likely always exist to a degree. As a treatment provider, hopefully you will continually strive to be the best that you can be. As a client, it’s important to be an informed consumer of services. Sometimes, talking with a number of other existing clients can give you a heads up on whether a particular clinic you are considering has earned a good or bad reputation. Stick with the better clinics if at all possible. You’ll be glad you did. Methadone take homes (or carry outs) are awarded to clients that have demonstrated treatment progress, stability, and personal responsibility. A take home dose of methadone may be earned once a client has met a number of criteria set by each methadone clinic. Each state has its own methadone authority that provides additional guidelines regulating take home award. Consequently, take home medication awards may differ from one clinic to the next, and from one state to the next. Some clinics provide an automatic take home for Sunday (often because the clinic is closed on Sunday), although a number of treatment programs have discontinued the “automatic” Sunday take home and are now open every day of the week for medication dispensing . This change resulted from a move to increase patient safety and to help ensure that take home medication was provided only to those with a good track record of program success & compliance. It should be noted that pain management clinics and addiction treatment clinics, both of which provide their patients with methadone, are very different programs and operate with significantly different standards and oversight. Opioid addiction treatment programs are subject to much tighter regulation and require that new participants be seen face-to face everyday in order to be evaluated before they receive their methadone dose. This is not required of pain management clinics who are able to dispense opioid pain medication (including methadone) without the same level of oversight. Consequently, much of the methadone diversion concerns making the news (including related overdoses) are the result of diversion of methadone provided by the less regulated pain management clinics. Unfortunately, the general public have often wrongly assumed that addiction treatment clinics were at fault. While diversion of methadone does occur on occasion in both settings, methadone treatment clinics offer much more comprehensive accountability & monitoring measures than do most pain management clinics. A majority of methadone take home recipients are very responsible with their medication. They take it exactly as prescribed, and store it safely & securely. Many patients have properly utilized their take home medication for years without incident or problems of any kind. A number of clinics allow their patients to receive up to 13 take home doses requiring an in-person visit to the clinic on the 14th day. Some clinics provide up to a month of take home medication for patients showing long-term stability and responsible handling of their take home medication. Take homes are earned one-at-a-time at specific time intervals as clients move through phases (or levels) in the opioid treatment program. It is important to note that take home medication is a privilege, and not a right. The award of take home medication is usually a team consensus decision based on a patient’s excellent urinalysis results, consistent attendance to & participation in treatment sessions, and evidence of psychiatric stability and good decision-making ability. If a client relapses or is having a particular problem coping, then take home medication is suspended for the client’s safety, and until the treatment team determines that the client is doing well enough to resume take homes. There is a fascinating article in The New York Times which explores the use of methadone and buprenorphine in treating babies born addicted to opioids. 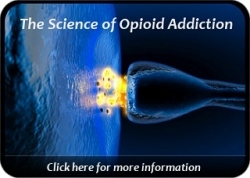 While this is often an emotionally-charged subject, it is a very important topic and points to the benefit of methadone in relieving suffering and in stabilizing one’s health through the elimination of painful opioid withdrawal. The article explains the dilemma that hospitals face when an opioid addicted woman is pregnant. Depending on the type and length of her opioid use, her baby may be born with an opioid dependence. And the newborn could begin experiencing painful withdrawal symptoms within 1 to 5 days. The Times article addresses the use of methadone (or buprenorphine) in alleviating a baby’s suffering. Prior to birth, methadone has also been used to reduce the chance of miscarriage and the probability of in utero seizures. Many doctors have little to no experience with this type of treatment, and are consequently apprehensive about taking on the risk of treating an opioid addicted mother-to-be. As of yet, there is no single universal protocol which has been established for treating newborns with methadone. However, several medical centers have been working in this area using a combination of medications such as methadone, phenobarbital, clonidine, and buprenorphine. Early indications suggest that it is hard to predict which infants will need opioid replacement medication. To determine which babies may be experiencing withdrawal, nurses use a checklist of symptoms and assess each baby every few hours … if the baby has been identified as “at risk” due to the mother’s opioid addiction. The Times article goes on to speak about the growing opioid addiction in America and the need for medical professionals to further educate themselves on available treatment options. We all need to remain solution-oriented, and to address this problem straight on in a constructive fashion. Thankfully, opioid addiction is a treatable illness, and opioid replacement therapy is a viable option for coping with this growing epidemic. Methadone and buprenorphine are the best interventions we have at present for treating opioid addiction. Without them, many addicted persons would remain lost in their addiction for years on end. And babies born to addicted mothers would needlessly suffer. With time and good public education on opioid replacement, more people will find their way into a life of recovery. It has been said in the treatment and recovery community that addiction is a disease of feelings. What is specifically meant by this is that addicted individuals typically have difficulty coping with emotions and are often triggered by them to use drugs in the traditional chemical coping paradigm. When individuals enter treatment and begin a personal recovery process, they learn that they have often numbed feelings through long term drug abuse, or escaped emotional discomfort through the ritual of using. Feelings like depression, anger, impatience, loneliness, boredom, guilt, and general stress can act as fuel for drug use. A strong connection can develop over the years between experiencing emotional triggers and finding relief through opioids or other drugs. This connection occurs so naturally for addicted individuals that they are not aware of this process within themselves. Once they stop numbing feelings and establish drug abstinence, the full force of emotions may begin to come back. This can be a challenging time for people in early recovery as they learn to feel their feelings and to deal with them in healthy, constructive ways. The answer is not hidden in a quick fix, but in learning new skills & approaches for “dealing with life on life’s terms” (a phrase often used in recovery circles and 12 Step meetings). Opioid replacement therapy alone can provide a certain comfort, hope, and stress reduction for individuals since their physical sickness from opioid withdrawal is eventually eliminated. However, there is more learning & change that is necessary in order to become mentally healthier, and to develop a true personal recovery which will sustain an individual for the rest of his or her life. This learning involves gaining an understanding of one’s addiction, how to prevent relapse, improving one’s general coping skills, building a support network, and restructuring one’s life such that high risk drug associations are ended (or effectively managed). Coping with feelings is an essential relapse prevention goal in every recovery program. The counseling component of treatment is an important tool that helps a person learn to experience life … without using illicit substances. Good methadone treatment clinics always provide their clients with counseling. Structured counseling is the single greatest resource available for teaching needed coping skills. Most importantly, choosing recovery is a wonderful decision and the beginning of a new life. Everyday, people decide they are finally ready for a change. Recovery is a positive process. Get started today!